John McGinnis thinks ordinary families would rather skip the airport and fly themselves. 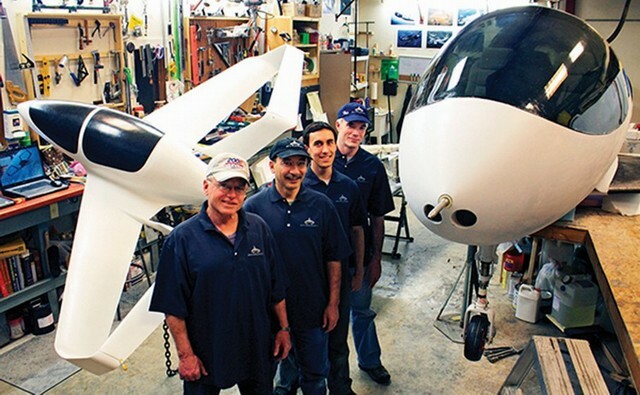 So he is trying to reinvent the personal airplane with the help of his father, son, and a rotating crew of about two dozen volunteers. 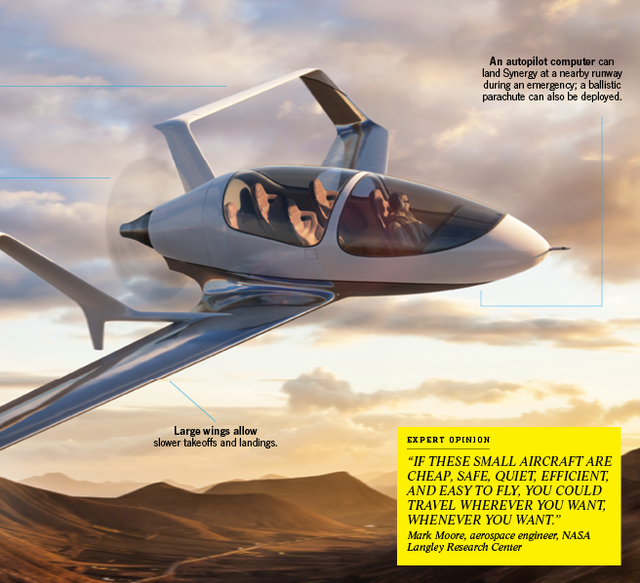 Unlike small aircraft today—which can cost more than a house—McGinnis says Synergy could be cheaper, quieter, and, at more than 40 mpg, three times as fuel-efficient. Synergy’s wings bend upward and into a box shape for minimum drag and maximum efficiency. The top half of each wing swoops behind the body to function as a tail while providing greater in-flight stability. The double-box tail design also makes gliding easier by counteracting tornado-like vortices at the wings’ tips. And instead of a front-mounted propeller, an impeller placed behind the bullet-shaped body quiets noise while adding thrust.